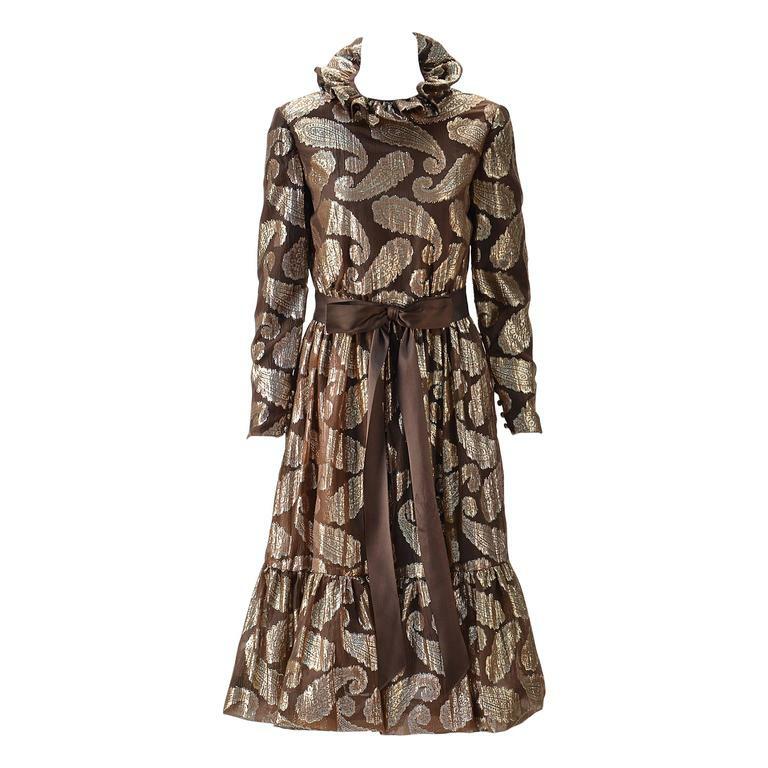 Adorable 1960s Cecil Chapman brown and gold paisley metallic dress. High ruffle collar, long sleeves with button cuffs and gathered tiered skirt gives youth to this look. Sweet brown satin ribbon belt with bow. Zips at back. Dress is interlined with tulle. 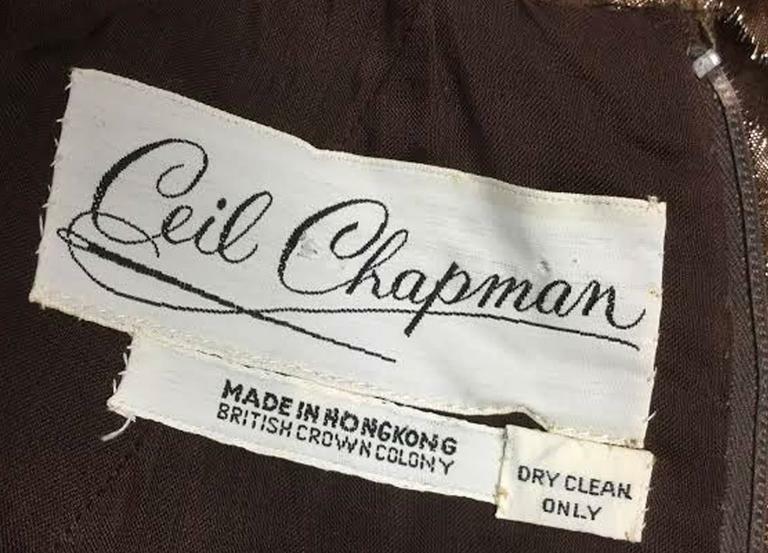 Modern US size 2-4 Seam allowance can be let out 1/4 of an inch Hem can be lengthened 1 3/4 inches *All garments and accessories have been professionally cleaned and thoroughly checked before shipping. They are ready to enjoy upon arrival!